â€œThe Great Wall of Boholâ€ is how the phenomenon that appeared in the wake of the 7.2-magnitude earthquake that struck the province is now being called. Such was the power of the Oct. 15 temblor that it forced up a 3-meter-high rock wall and produced a big gash in the land that now runs through some of the most bucolic farmlands and woods on the island. Itâ€™s a remarkable sight illustrating the geological violence that occurs during an earthquake, and Boholanos were quick to spot an opportunity when a number of tourists began asking to see the fault line. These days, Barangay (village) Anonang, which hosts a portion of the fissure, carries a sign that says: â€œThis way to the fault line.â€ And visitors are streaming in. 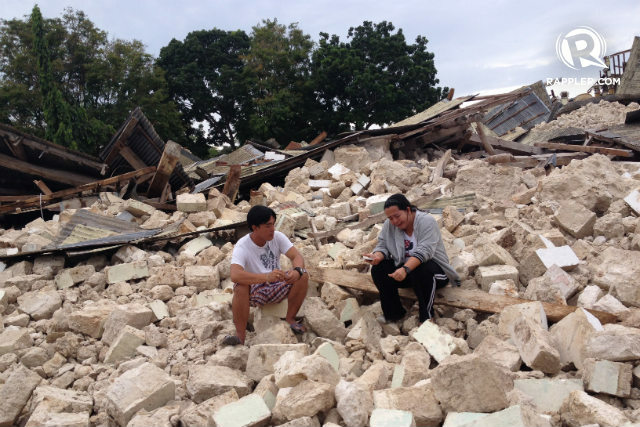 Bohol may have been devastated by the quake, but itâ€™s clear that it hasnâ€™t lost its entrepreneurial bent for tourism. Before the quake, the province had enjoyed a reputation as a national trailblazer in turning its myriad attractionsâ€”from pristine beaches to the rare tarsier, from the Chocolate Hills to centuries-old churchesâ€”into an innovative tourist experience that integrated leisure, adventure, history and heritage. Like Bali, Bohol was an enchanted island that had it all, and hordes of local and foreign visitors have heeded its siren call. This year, some 2,770 Japanese tourists and 10,932 Koreans visited Bohol from January to Juneâ€”a 14-percent increase from the same period last year. Prospective visitors will be happy to know that the popular Loboc River Cruise, the flagship tourist attraction in the town that also hosts a world-renowned childrenâ€™s choir and a historic church that dates back to 1734, has resumed operations, a mere two weeks after the quake and after the damaged docking piers were quickly repaired. Lobocâ€™s San Pedro Apostol Church, however, said to be the second oldest such structure on the island, suffered massive damageâ€”a toppled faÃ§ade, its intricately decorated ceiling turned to rubble, half its bell tower shornâ€”that would take years and enormous resources to rehabilitate. It was among six churches designated as national cultural treasuresâ€”aside from Loboc, those in Baclayon, Loon, Dauis, Maribojoc and Dimiaoâ€”that either sustained heavy damage or, as in the case of Loonâ€™s circa-1850 Church of Our Lady of Light, were completely destroyed. 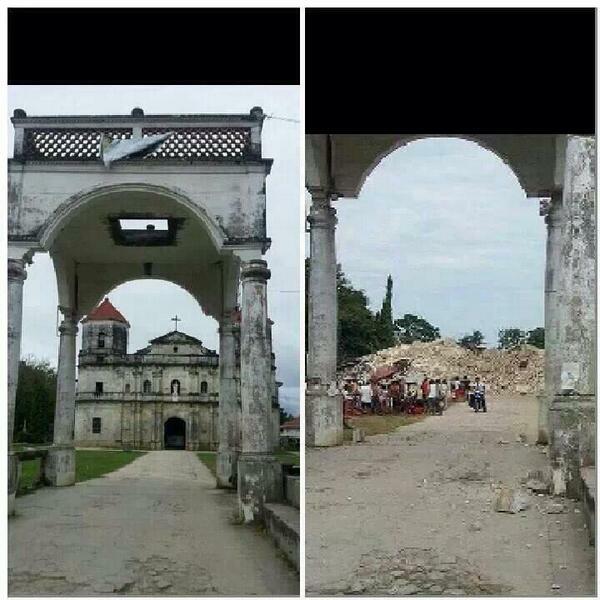 In all, six Bohol churches were pulverized and 17 others were badly shaken. Fr. Milan Ted Torralba, executive secretary of the Catholic Bishopsâ€™ Conference of the Philippines Committee for the Cultural Heritage of the Church, estimates the rehabilitation cost for the Bohol churches, not counting those likewise affected in neighboring Cebu, to reach at least P100 million. Raising all that money and directing it to the restoration of religious edifices, no matter their historic and cultural import, will take time and a careful calibration of political realities. Right now, much of the rehabilitation effort is aimed at providing immediate relief to some 380,000 people displaced by the disaster. Damage to infrastructure is also significantâ€”some 12,102 houses now uninhabitable, 55,846 partially damaged and 38,342 partially affected. With aftershocks still ongoing, that tally may still rise. How is FR CHIC in Bohol?